Starting the Text to Speech Web Browser. This open the main SpeakComputer software selector. 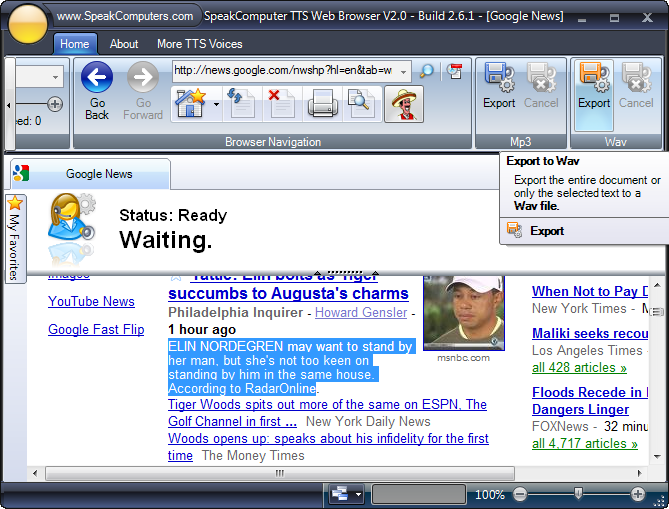 Click on the Web Browser button to launch the text to speech web browser. 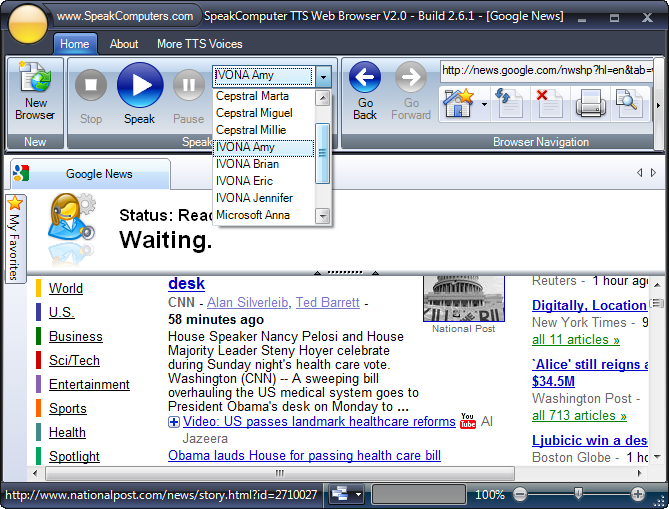 The Web Browser starts with the window looking as below. Now you can surf the web as you would any web browser. 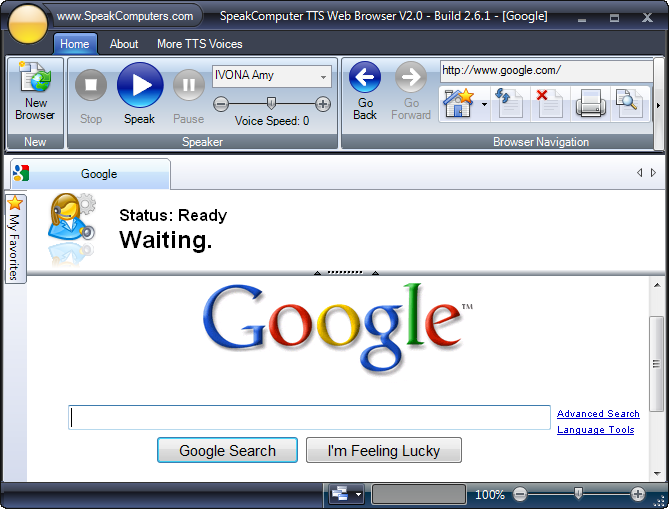 You can select text witihn the web page and click on the Speak button and the web browser will read aloud the selected text using the selected TTS voice at the choosen TTS voice speed. You can select from pre-installed text to speech voices which voice you want the software to read. Please remember. All Text to Speech voices are language specific. That means an English Text to Speech voice only speaks English and a Spanish Text to Speech voice only speaks Spanish. You need to purchase the language specific Text to Speech voice you require. Windows Vista includes a great natural sounding voice named "Microsoft Anna". Microsoft Anna is an English speaking voice thus only speaks English. You can export text within a web page to MP3 files for later playback on your MP3 player. Simply select text from the web page, select a TTS voice and click on the MP3 export button.